Print the templates available HERE. 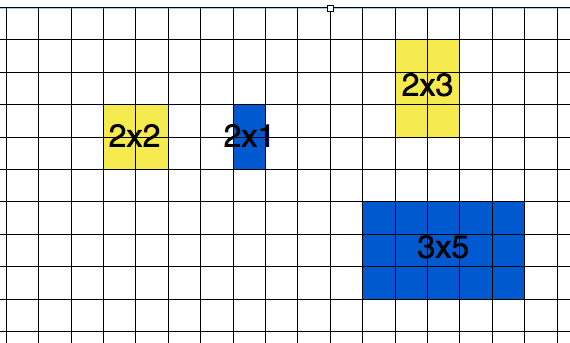 Print the grid you would like to use- there are two sizes. 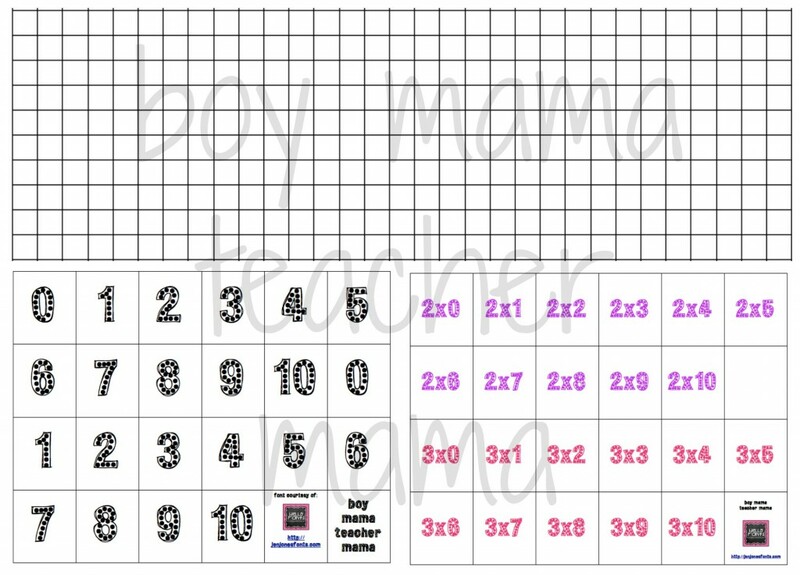 Print the cards you would like to use: single digits OR multiplication facts by number (ie 2s or 5s). See image above. The first player, draws two cards (if using the single digit cards) or a multiplication fact card. Other players repeat the same steps until there is no more room on the paper. 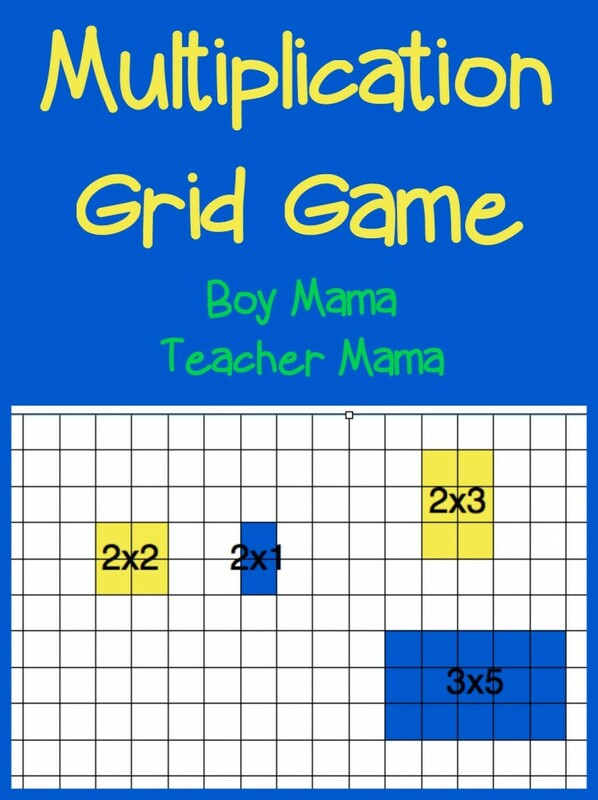 The goal of the game is to fill in more spaces on the grid than those you are playing with. Oh, and of course, to practice those multiplication facts!! !